Tekla training delivers basic 3d modleing, build 3D models of steel structures, display of drawings with different scales and views. +–What is the objective of tekla software training ? Technological advances has made it possible to build 3D models of steel structures, using advanced software like Tekla Structures to generate required fabrication drawings that ensures precision and zero errors. Tekla Structures is a fully integrated 3D solution that enables the perfect creation and management of three-dimensional building models of any size, regardless of material or structural complexity. 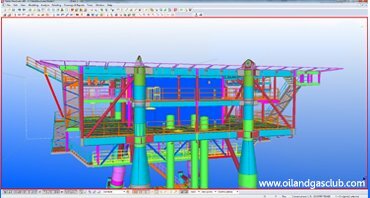 The Tekla Structures solution covers the entire structural design process, from conceptual design to detailing, fabrication and erection. +–Who should attend tekla software training? +–What is the duration of tekla software training?